Winterbrook Estate Agents - News- Lesters `Buy To Let` Evening. Lesters "Buy To Let" Evening. 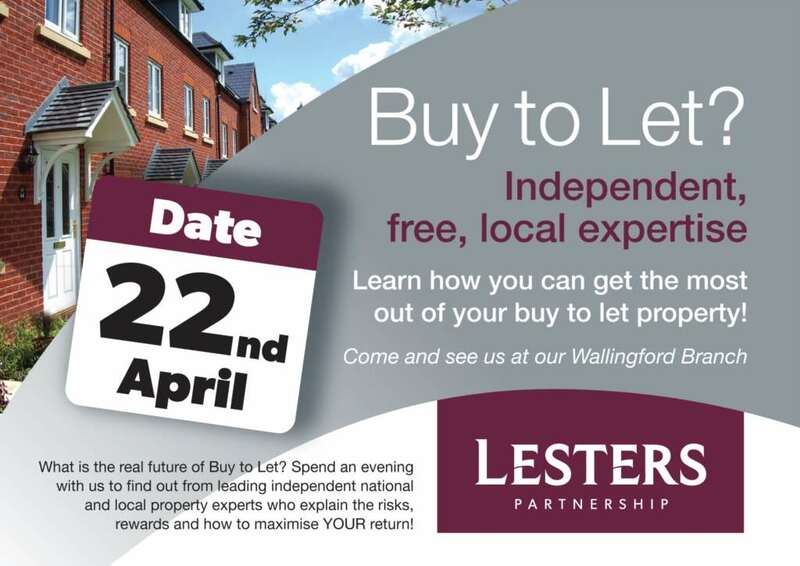 If you are thinking of buying a property to let Lesters are holding a ‘buy to let` evening on Tuesday 22 April at their Wallingford office. The Partners James, Julian and Holly the Property Manager will be on hand with Karen the Financial adviser are available to give advice whoever you decide to buy a property through! We will stay open until much later in the evening, the easiest spot to park (with two hours free) is the Goldsmiths Lane car park behind the old Waitrose building. Please contact us at Wallingford on 01491 824000 with any questions, no need to book, just turn up.